Dec. 10, 2011 | Welcome to Little Gull Marina! 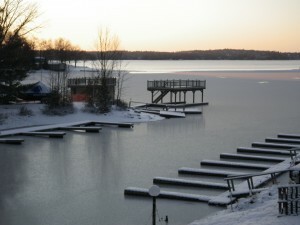 Sunrise this morning brought the first cover of ice to the lake. Maybe it will stick around!